Rick J. Delanty is a plein air and studio painter, with nationally-recognized awards. He has participated in exhibitions and plein air competitions across the United States. He paints in both oils and acrylics, painting in solvent-free oils outdoors and acrylics in the studio. He has exhibited six times at the Laguna Beach Festival of the Arts, five of those years as a large-scale watercolorist. 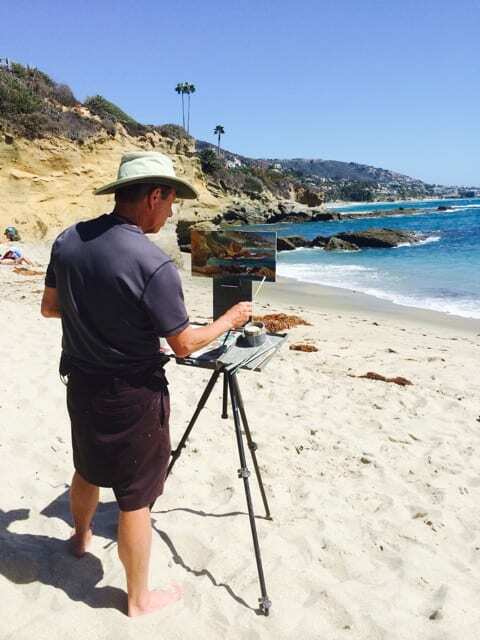 He has been selected nine times for the Laguna Beach Plein Air Invitational, in which he was honored to receive both the Boseker and Surfrider Awards. In 2016, he was selected to participate in the Maui Plein Air Invitational. Rick has been invited as juror and demonstrator for several art organizations, and has served as curator for LPAPA’s exhibition of over one hundred contemporary landscapes in the galleries of the Huntington Beach Art Center. He is a Signature member of Laguna Plein Air Painters Association, the International Society of Acrylic Painters, the American Impressionists Society, and California Plein Air Painters (CPAP). More of Rick’s work may be viewed on his website at www.delantyfineart.com.